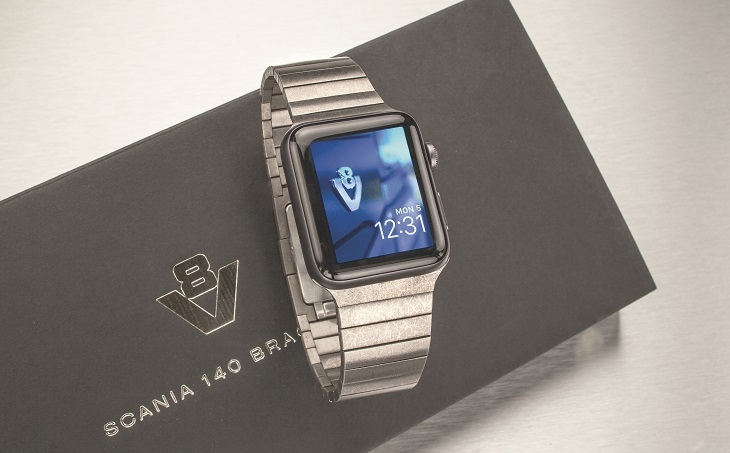 Scania is celebrating the 50th anniversary of the iconic V8 engine in 2019 and as part of the celebrations for this the company is offering drivers the chance to win an Apple Watch with a unique strap made from the block of a V8 and be part of an exclusive 2019 V8 calendar to be given away free in T&D at the end of the year. The year 1969 was a significant one for many reasons; Neil Armstrong became the first man to walk on the moon, the Woodstock Festival was held in New York and regular colour television broadcasts began in Britain. But ask any truck fan what was significant about 1969 and the chances are they’ll say, without hesitation, ‘the launch of the V8 engine’. When Scania unveiled its DS 14 350hp V8 engine at the Frankfurt Motor Show in 1969, it was Europe’s most powerful diesel truck engine, and remained so for many years. 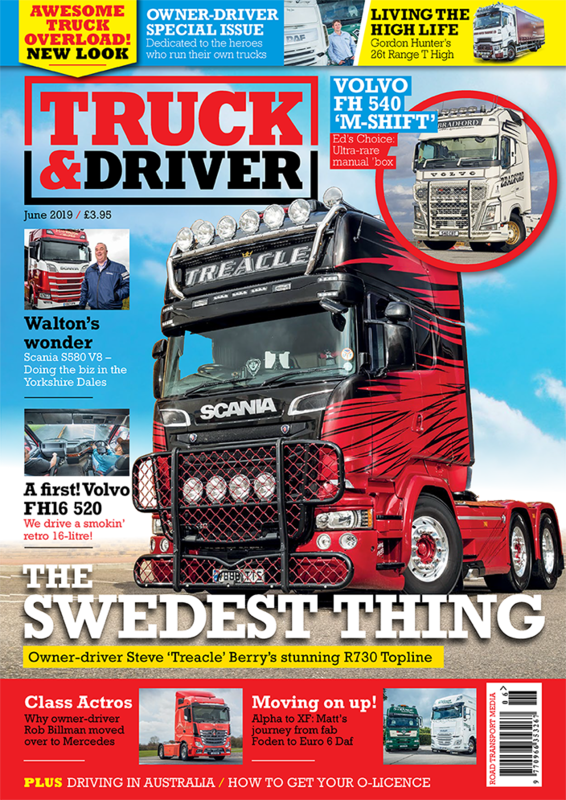 Launched after being in development for seven years, it became an instant classic and, as Andrew Jamieson, sales director at Scania, notes, the impact among hauliers and drivers when the V8 was introduced was massive. It was also different to anything else on the market. As Jamieson notes; “At the time of its launch, V8 engines were mostly associated with American muscle cars. Indeed, it was around the time of the V8 launch that hauliers started making regular runs from the UK to the Middle East; Astran had been the first in 1964, and others soon followed. For such long and punishing journeys, the power of the Scania V8 was ideal. In the years since, generations of drivers have loved the V8 – whichever version of the engine was powering their wagon – and there are numerous reasons for this, as Jamieson explains. “You don’t earn the title ‘King of the Road’ for nothing,” he says. “Power, performance, driveability, quality, durability, reliability and, of course, that unmistakable exhaust note, set the Scania V8 apart from anything else out there. If you had to sum it all up in a single word, for owners it would be ‘efficiency’, and for drivers, ‘kudos’. 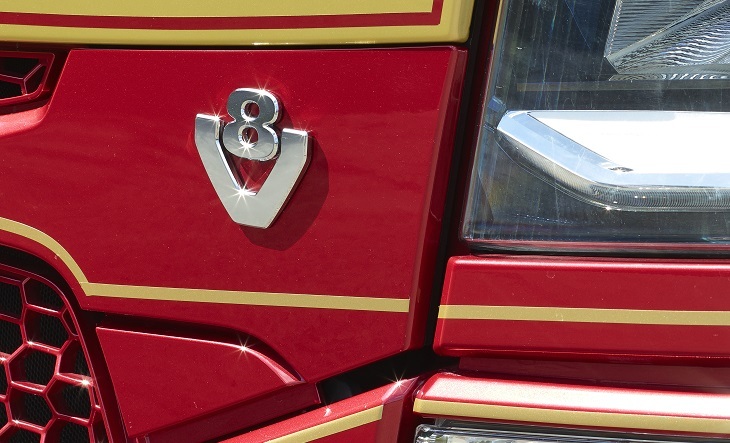 Of course, Scania continue to develop the V8 so it stays at the forefront of engine technology. When the company introduced its first Next Generations trucks in August 2016 they also had an adapted V8 engine with better fuel efficiency and reliability than ever before. “Next year, the Scania V8 will be 50 years young – we’re now looking at the next 50!” says Jamieson. But while looking to the future, the past 50 years are going to be celebrated in some style by Scania in 2019 – although exactly how remains to be seen: “It’s a little too early to discuss our plans yet, but rest assured, the Scania V8’s 50th birthday is going to be quite some party!” Jamieson adds. To celebrate the forthcoming 50th anniversary of the iconic V8, Scania have launched a competition to find the best V8 in the UK. We want to find the best-looking examples of V8s from across the past 50 years in the UK – and the 12 judged to be the best will feature on an exclusive V8 calendar, to be given away in the January 2019 issuer of Truck & Driver. As befits a competition celebrating a 50th anniversary, the prizes for the winners are something special. The overall winner will receive an Apple Watch – but this will be a unique money-can’t-buy one as it has a strap made from the block of a V8. In addition, they will be featured in the 2019 calendar and will be the main cover star of our January 2019 issue, along with having a full profile feature either of the driver or operator (depending who sent the photo in), including a photo shoot, in the magazine. In addition, 11 runners-up will all receive a V8 watch, as well as a slot on the calendar with a testimonial, and will have a profile feature including a photo shoot in Truck & Driver during the course of 2019. But there are no losers in this competition – everyone who enters will win a limited-edition Scania V8 pen. Their picture will also be published on T&D’s Instagram account. You can follow the competition on social media – look out for the #V8Legends hashtag. Entering the V8 competition is simple: just send a picture of your Scania V8 looking its best – without any trailer attached – to competitions@roadtransport.com with ‘Scania V8 competition’ in the subject line, along with your name and contact details. Please note that all entrants must be a UK operator. Also, entrants have to be the owner of the cab or, if not, the driver has to have permission from the owner to send the picture in. The truck does not need to be a ‘working’ truck and it can be brand new, from 1969 or any point in between. The 50 best photos, which will be selected by Scania Great Britain, will then be sent to Scania’s head office in Sweden for judging by senior executives. Judges in Sweden will then choose the 12 to be included in the calendar. Following this, the 12 photos will then go out for public vote via social media to find the overall winner.